Instagram offers 58 times more engagement per follower than Facebook, and 120 times more engagement per follower than Twitter according to a Forrester report. People come to Instagram for visual inspiration and the simple design allows captivating visual storytelling. Instagram is a highly engaged community with more than 400 million active users. More than 40 billion photos have been shared – of which 75% are outside the US. Instagram sees 80 million_ photos uploaded every day and gets 3.5 billion Likes daily. The numbers are compelling. But even more compelling is the format and the possibilities for brands. Before you embark on Instagram, find out more about your target audience. What kind of brands do they follow? What kind of images resonate with them? What kind of content are they looking for from a brand? Start with listening. The importance of listening in social media, and how to get it right. Quality images are both professional photos or those taken on a camera phone – what's key is interesting composition and subject matter. Remember that it's not about selling your product. Yes, your products will feature, but make sure they are done beautifully, cropped properly, and tagged with relevant hashtags. Creativity is key. Vary your product shots – using pro quality images, different types of angles, lighting etc. Images should be high-resolution and visually stunning. People spend just a few minutes scrolling through Instagram at a time, and they only engage with content that captures their attention. Go beyond product to lifestyle. Show lifestyle images around your product that have wow value. Use life-inspired backgrounds, scenes, and models to add a scenario to your product. In marketing terms, by creating aura and stories around your products, using the culture and lifestyle that surround them, you’re amping up your brand equity. Instagram now has a 60 second video format. Video content is compelling and multi sensory. Make sure you have relevant, attractive, and entertaining video content for your account. The new long format on Instagram now makes it possible to make your video-told stories both beautiful and complete. Don't just resort to re-purposing your YouTube content. Create Instagram specific videos that appeal to the Instagrammers way of life. The new limit allows for a wider range of content – from how-to demos, quick unboxings, sharing the 30 second or even a 60 second tv spot (careful, there), and more "live" coverage of events, launches, product demos etc. Write compelling captions that draw in your following to do something. To share your content. To become believers and ambassadors for your brand. Today, any one with a decent smartphone has the power of a beautiful image in their hands. Use that power. Remember that Instagram is all about beautiful storytelling. Encourage fans to tell stories around your brand. Engagement on any social is about a dialog, about participation. Not selling. Instagram is a huge social culture, and selling, hard selling, just doesn't fit in to that culture. User Generated Content allows you to have powerful, trustable, sharable content. Highlight key fans and encourage them to engage with your content and post their own content about your brand. Perhaps a special #hashtag contest can help you curate UGC for your brand. Search for a popular hashtag related to your brand, seek out a photos and videos that are content which can be used by your brand and that your audience would enjoy. Today, users trust information received through UGC 50% more than information from other media sources, including TV, newspapers, and magazines. Use the power of UGC by pushing for relevant content by your key fans and influencers. Instagram allows for up to 30 hashtags per post, but the platform recommends that brands focus on using the right hashtags relevant to both brand and content. Collect and have ready relevant hashtags that your brand could use. This might include "branded hashtags" like your brand name or slogan (like #justdoit for Nike). It could be your brand name or a specific brand campaign (#nikeplus). A product name can be used as hashtag, so can the location of the shot if it's relevant. This list of hashtags evolve, but it's important to have one. Not just for Instagram, but for any social media Customer Insights is your First Step in Digital Marketing. Be flexible here, because as you keep listening out for what your audience is looking for, the goal posts almost always move. Types of images that trend on Instagram often change quickly. Stay on trend. Last word: Instagram does not work in isolation. Use it in tandem and in sync with your other social media efforts and your website content. Remember, it's the visual power that makes Instagram an ever popular social platform. Use that power to your benefit to build a better image for your brand. And that's the basics. That's Digital Marketing Strategies 101. Instagram's new video limit is now 60 seconds. How can brands benefit? Simple but effective ideas. 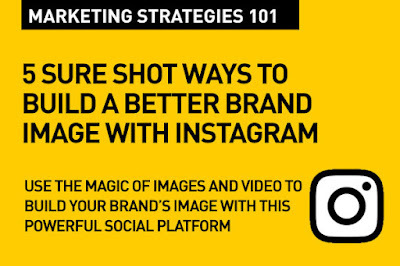 These are basics that one needs to get right, and I believe that hashtags are key to Instagram strategy. And Influencers play an important part. Instagram is just running away as a brand favorite social platform. 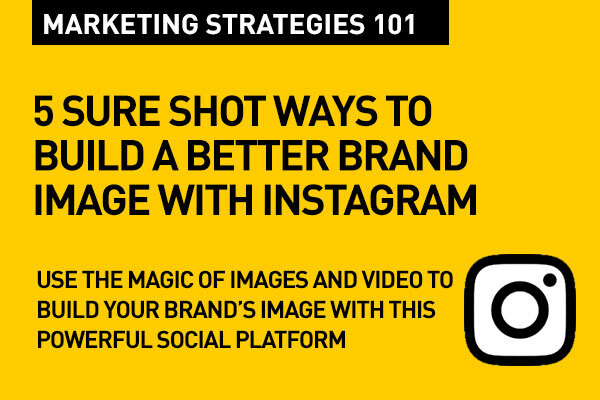 Today, images are so key to any brand's social media content, and how they engage their fans.